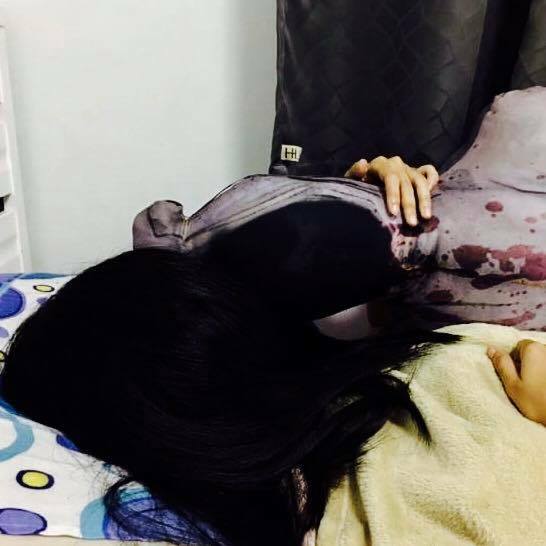 Home / celeb / ghost / news / penanggal / pillows / pocong / viral / weird / Would you sleep with these horrifying pillows? Would you sleep with these horrifying pillows? 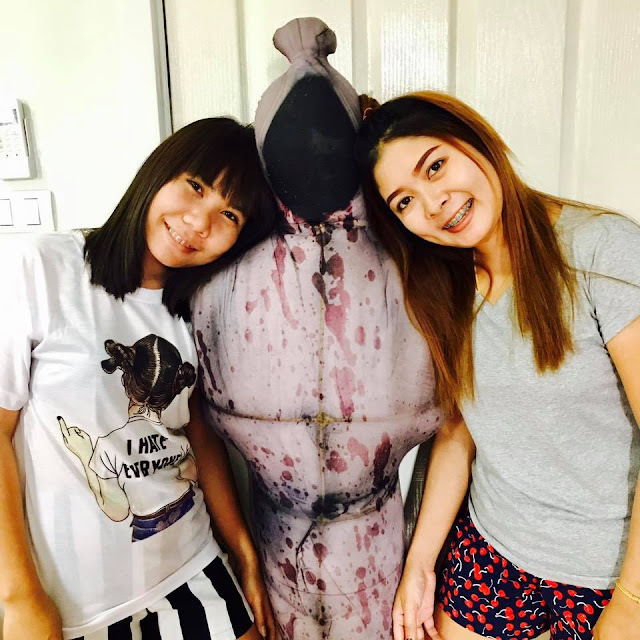 Forget about the lizard and cockroach pillows, check out Thailand’s new jiangshi/pocong (wrapped ghost) and krasue/manananggal/penanggal (detached head) pillows that will guarantee to haunt your dreams and turn them into nightmares instead! It's amazing how he can sleep so soundly. In case you don’t know what those ghost are, they’re Asian ghouls typically from Indonesia, Thailand and Malaysia, but for a further read, check out this article! Anyway, back to the creepy pillows, they are sold online by a Thailand Facebook page called @here666 (หมอนเหี้ย), and it is apparently shippable to Malaysia and Indonesia. 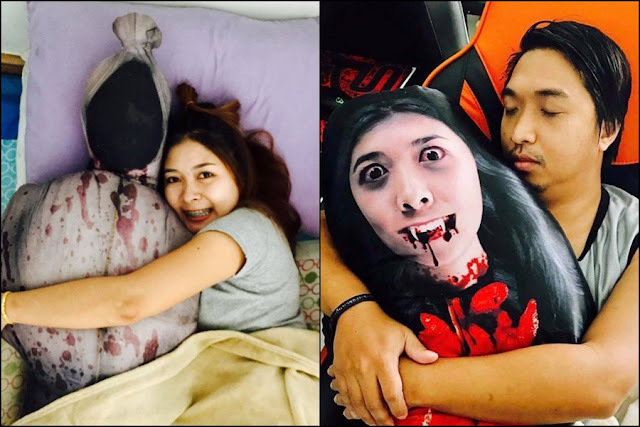 The Facebook page also sells other kind of odd pillows like monitor lizards, curry puff, durian, fleas, worm, and more, but who needs those when you got terrifying supernatural pillows to hug at night! 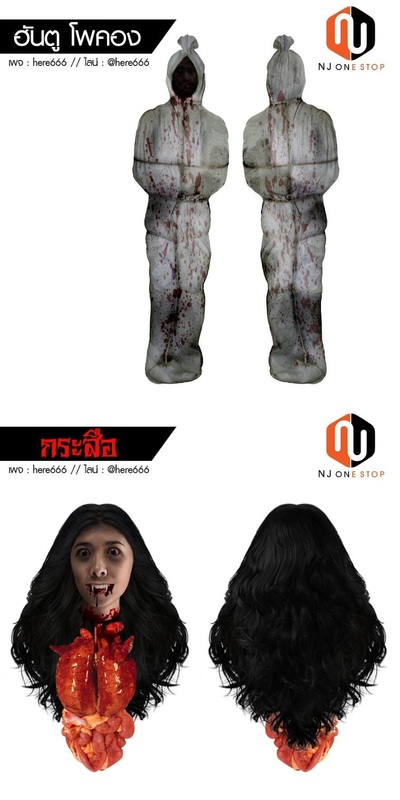 The pocong pillow costs THB1444 with a THB111 shipping fee, while the penanggal pillow is priced at THB777 and the shipping fee is set at THB88. It's like they're hugging their bae! 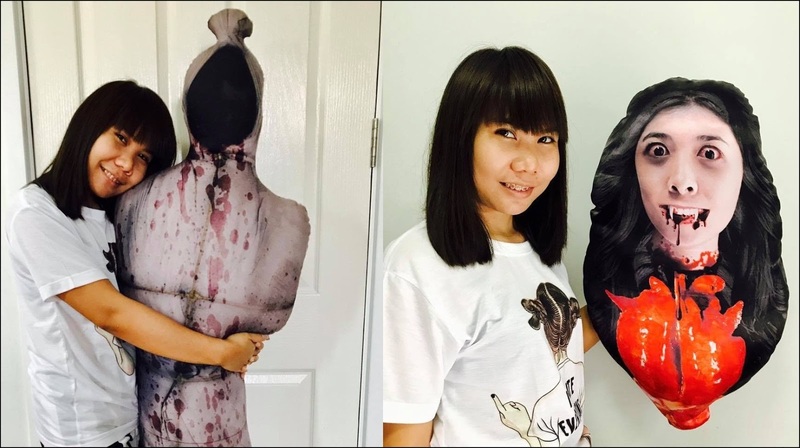 As you can see from the photos, the two pillows are very realistic looking with the blood and its overall shape, and even the sizes are on point – especially the pocong pillow which is at 1.65 metres, the average height of an Asian woman. So if you’re an adventurous (or maybe masochistic) type that likes a little bit of spook at night, then these might be the pillows for you. 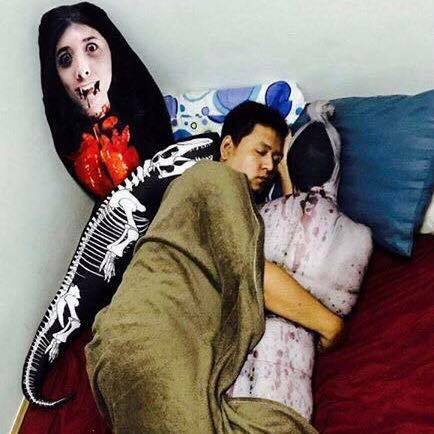 Just make sure you don’t give yourself a heart attack when you wake up in the morning or in the middle of the night and the pillow being the first thing you see. And don’t prank people too!